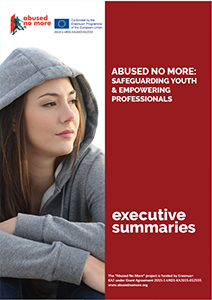 This summer, the Abused No More partnership is very pleased to announce the launch of the CPD accredited interactive e-learning course “Abused No More: Safeguarding Youth and Empowering Professionals”. 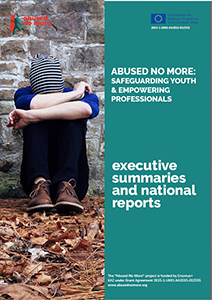 This e-tool aims to strengthen the skills and competences of youth professionals who are working with marginalised youth especially those who are facing exclusion and discrimination due to gender based-based abuse or their cultural backgrounds. Using real stories of young people, the course explores youth-led models of engagement and familiarise professionals with the concept of legal literacy as an empowerment tool for prevention of gender based discrimination and violence. The partnership also launched a short interactive online course for young people living in the UK and Europe. The course aims to increase young people’s awareness of gender based violence and discrimination with particular focus on female genital mutilation (FGM), honour based violence and forced marriage. The e-course includes additional resource and videos that will help young people to take action, get involved and share knowledge with their peers.